It’s natural to want healthy, beautiful skin throughout your life. Unfortunately, as you age and expose your skin to the sun and other elements, it can lose its elastic, youthful appearance. However, there are several ways Dr. Kevin Charlotten here at Q-Care Aesthetic Laser Care can help support and restore your skin health. One method he frequently uses to improve skin quality is TempSure™ Envi, a radiofrequency device that stimulates natural skin health. Skin health is not just about getting rid of wrinkles and saggy skin. Healthy skin is smooth, elastic, evenly colored, well-hydrated, and contains an appropriate amount of oils. Skin health naturally fades with age, but can be supported through interventions and lifestyle changes. But many people try to get rid of imperfections without considering the underlying issues that may cause the problems. For example, wrinkles are not a surface issue. They’re caused by weak and insufficient collagen and elastin in the deeper layers of your skin. TempSure Envi is a method that addresses the issues deep in your skin to not only improve the skin’s appearance but its overall health, too. This means it can help correct many visual signs of aging, fragile skin, such as discoloration, wrinkles, and uneven pores. There is a growing trend in the cosmetic industry to harness the power of the body to heal itself, and TempSure Envi is a device that does just that. Instead of injecting extra elements into your skin, TempSure Envi is a radiofrequency device that stimulates your natural healing process. How exactly does it stimulate the skin’s healing process? By slightly damaging your weak, old collagen. When the treatment gently heats your skin to a therapeutic temperature, your body understands it needs to repair and replace certain elements. Your blood vessels open, allowing greater circulation and nutrition to the treated area, and over time, you replace your old collagen with greater amounts of fresh, new collagen. TempSure Envi is a fast procedure, lasting between half an hour and an hour, and it’s not painful. Your skin may feel warm, and many people describe the sensation as relaxing. 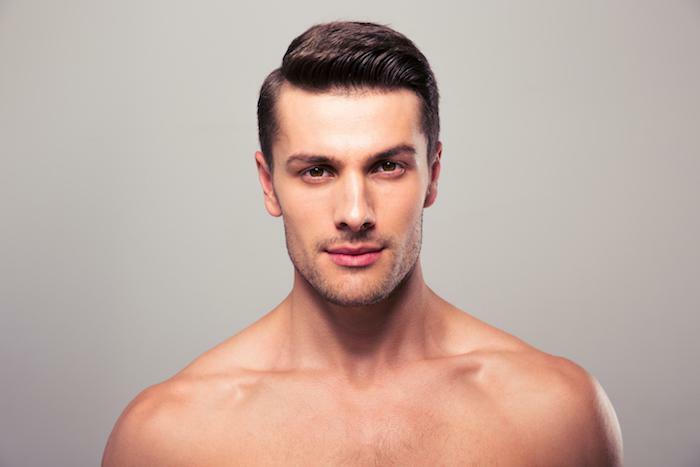 After your first treatment with TempSure Envi, you’ll notice immediate results and glowing skin. This is usually due to minor swelling caused by the heat from the device. The swelling can hide your wrinkles for several days, but this is a temporary affect. After a few days the real healing process begins. Your body begins to produce more collagen and elastin, which will even out your skin and reduce wrinkles. This process continues over time, giving you further improvements, slowly and naturally. Most people benefit from multiple sessions with TempSure Envi, depending on the current health of their skin. Dr. Charlotten helps you work out a treatment schedule that gives you the best results. Because you’ll continue to age and your skin is continually exposed to the elements, TempSure Envi is not a permanent solution. While the effects can last for months, eventually you may need a touch-up. However, there are certain things you can do to help extend the health of your skin. Dr. Charlotten will discuss your skincare routine with you. He’ll likely suggest an appropriate moisturizer and sunscreen for everyday use. He may also discuss your diet and fluid intake and suggest lifestyle changes to support the health of your skin. Following his recommendations will help your skin look refreshed for a longer period of time. If you want healthier skin, TempSure Envi may be the solution for you. If you live in or around Western Queens or Elmhurst, New York, you can book an appointment with Dr. Charlotten online or by phone.